Rarely does one person’s story encapsulate the passion that drives a movement. Canadian journalist Ida Seigler’s larger-than-life story illuminates the forces that fueled the Zionist movement and expands our understanding of the complicated relationships that resulted and endure until the present day. The first Jewish woman in Canada to edit a newspaper, and a fervent organizer for the cause of a Jewish homeland, Seigler left a legacy of words and deeds that allow us to better understand complex historical events that continue to reverberate. Ida Seigler’s family fled Romania in the aftermath of the 1881 pogroms, when persecution of Jews intensified and brought a wave of immigrants to Canada in 1884. The family settled in Montreal, where an unlikely story that could have been pulled from literature, unfolded for the eldest daughter. Ida Seigler published her first article before age 20, taught English grammar to writers who knew only Yiddish, and became, in 1918, editor-in-chief of the Canadian Jewish Chronicle, predecessor to today’s Canadian Jewish News, the first Jewish woman in Canada to occupy both the top position on a newspaper and write the paper’s lead editorial. Her first editorial appeared on Dec 18, 1918, with the headline: Are we mere spectators? In it, she expressed anger that a delegation of American Jews at a Peace Conference in London did not include any Canadians. Other topics in the seven years her column ran ranged from the increase in juvenile delinquency among Jewish youth to effusive praise for Sir Wilfrid Laurier, upon his passing, as a steadfast friend of the Jewish people. In 1924, Seigler conducted an interview with the poet, philosopher and World Zionist leader Dr. Ariel Bension, who was on a fundraising mission in North America. Seigler published the interview under the name of Jessie Abrams, a pen name she adopted to write mostly about women’s issues for the Chronicle. Born in Jerusalem in 1887, Ariel Bension descended from two distinguished Sefardi families. An ardent Zionist, he had become an active worker in the Kerem Hayesod when it was established in 1920, and since then, had visited every Sefardic community in the diaspora raising money for a Jewish homeland. Seigler’s interview proved the turning point in her life. It was love at first sight for both and they quietly married a few weeks later in Temple Emmanuel in Montreal on October 3, 1924 and then formally tied the knot in a ceremony in London, England in June 1925. The newlyweds soon embarked on a joint mission: traveling the world in support of a Jewish homeland. In 1926, they took an extensive tour of the Jewish communities in South America. They were united by common interest and considerable zeal. She spoke to women, he to men “arousing the dormant Jewish consciousness.” In some communities, “people who had never been known locally as Jews” were attracted to the meetings. Seigler brought together small groups of Jewish woman who laid the foundation for the Women’s International Zionist Organization in Brazil, Chile, Peru and Argentina. By 1929, the couple were traveling in China and India on their fundraising mission; 1931 found them in Europe, where illness suddenly overtook Bension during a campaign in Portugal. He was transferred to the American Hospital in Paris, where he died in 1932 at age 45. A grieving Seigler brought his body to Palestine for burial. She continued their work after his death. In 1933, with a desperate situation developing in Europe, she wrote an article aimed at Jewry in Egypt headlined: “Les Juifs d’Allemagne: Ou aller?” She made a plea for donations to organize immigration in Palestine; establish the immigrants in colonies; procure work for them; construct schools; and build hospitals and synagogues. She noted that millions of Jews from Germany, Poland and Romania needed a home. In 1935 and 1936, as a “missionary” for the Women’s International Zionist Organization, she undertook a lecture tour of Great Britain and Ireland, speaking in private homes, attempting to rally her sisters to work for a Palestinian homeland, speaking of the courage displayed by Jews in Eastern Europe in the face of upheaval. In March of 1937, she was in Belgium for meetings in Brussels and Antwerp, and by May of that year, she was in Australia, visiting Perth, Adelaide, Sydney and Melbourne, where she carried out “an intensive propaganda, organization and fundraising campaign among the women of the Jewish communities.” By October of that same year, sailing out of Auckland, New Zealand, she headed for Mexico, which she had visited in 1926, creating a WIZO there, then proceeding to Chile, Argentina and Brazil, “where political conditions” were in a “state of tension which prevents the furtherance of Zionist work.” She nevertheless traveled to Sao Paulo and Rio, where meetings were arranged for her in private homes. 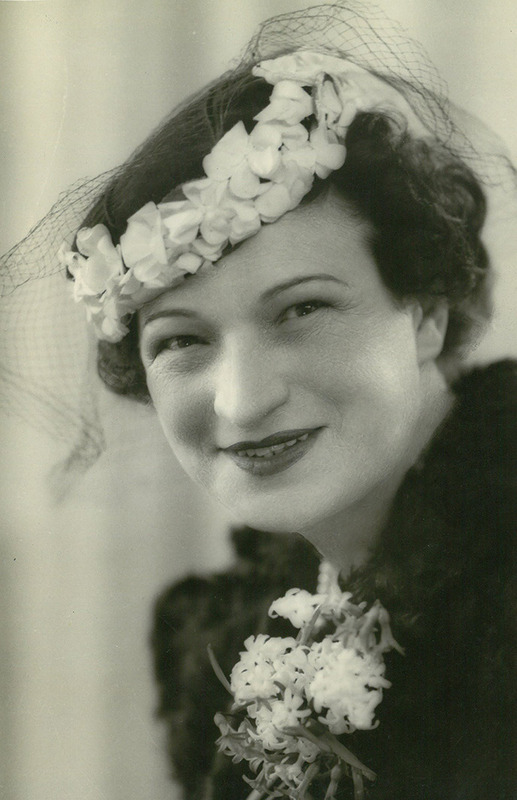 By the end of 1939 she was back in Australia to strengthen existing WIZO groups. This trip would again change her life. She met and married widow Samuel Wynn, a successful wine merchant and a staunch Zionist. In Wynn, Seigler found an ally. He was not religious, but in defense of his Jewish culture and the Zionist cause he was as tenacious as was his approach to business. Seigler spent the rest of her life in Melbourne. She became president of the WIZO Federation of Australia and built its membership to over 4000. On July 12, 1948, she suffered a heart attack. She died on August 1, 1948, in the same year Israel formally became a state. At her death, Seigler was remembered as “the first Zionist woman to talk to the Black Jews of Cochin, the Bnei Israel of Bombay, the Chinese Jews of Kai Feng Fu, the Maranos of Portugal, the First Temple refugees among the Berbers of Africa, the Crypt Jews of Spain, Peru and Mexico, the Hirsch Colonists in Argentine.” A children’s centre at Mount Carmel in Israel is named in her memory.